Amaya is a big company that occupied several fields of development including lotteries, sports, casinos, etc. It was founded in 2004 and quickly became a major player on the gambling market. At the moment Amaya proposes online and offline solutions for gambling establishments. One of the most important particular of Amaya company is its tendency to grow and spread own influence on the market. In a result company buys other software providers time after time. According to official sources Amaya had made the biggest deal in 2011 when has bought Chartwell Technology. Later it purchased one software provider from famous InterCasino group called Cryptologic. When time passed the previous owner took Cryptologic back. In any case the tendency to purchase other IT-companies demonstrates its strategic power and high level of management. In the middle of 2017 Amaya decided to make rebranding and become Stars Group. And such decision caused several big changes. First of all the main office was moved from Montreal to Toronto. Then customers got acquainted with new logo and updated website. After getting numerous approvals and official certification the company confirmed itself as one of the serious and powerful player on the gambling market. Behind strong strategy of making the gambling market their property, the Amaya team pays a lot of attention to the quality of own products. You may read several others reviews and make sure that this company is reliable, modern, and always try to satisfy its target audience. Besides, Amaya has legal certifications, which confirm its trustworthy. These documents are made out by independent betting standards organizations like Cognosec, eCOGRA, TST International, NMi Gaming, Gaming Laboratories International, European Betting & Gaming Association, etc. No one can hide the fact that Amaya is full of great amount of modern games. There are spectacular choice for every customer. That’s why it will suit both new and inexperienced players and those who had been around the block this sphere. Customers will be pleased not only with table games and slots, but also with great variety of lotteries, scratch cards, poker. This developer creates interesting games under own brand name. You can try your luck in BetStars, PokerStars, etc. Amaya pays a lot of attention in making online slots and holding poker tournaments. It is said to propose over 300 unique games you can’t find somewhere else but it Amaya’s top rated partners. In a result this company is considered to be one of the largest casino games developer with great prospects in the future. 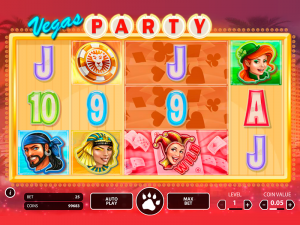 Nowadays playing casino games on mobile devices is not a whim but normal demand from target audience. Players are seeking for a place where they can gamble with no boundaries. As Amaya casino games provider keeps up with the times its users are able to gamble in mobile way. 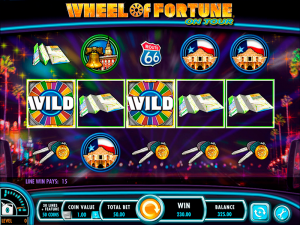 There is a great selection of casino games available for playing at smartphones and tablets. The variety in games and the pervasive list readily available differ this provider from others in gambling field. That’s why Amaya users most of mobile games made by Cryptologic, IGT, Betsoft, and so on. But frankly speaking there is no great deal for customer who visits casino to have a great gameplay right there. There is simple access to mobile games with Amaya. 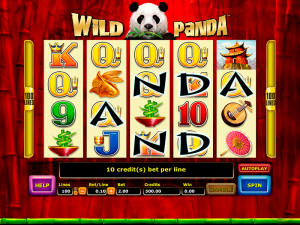 Developers have used HTML5 technology that’s why customers are able to gamble right via the website. There is no need to install special mobile application, because only mobile browser is required. Both smartphones and tablets users have the one way to gamble and don’t put attention to own platform. Android, iOS, Windows Phone, and other users are welcomed to join Amaya casinos. Amaya provider also takes care about additional advantages for customers. There is a good variety of special bonuses and personal promotions for gamers. One of the favorite gifts is about welcome bonus. This is a sum of money on the player’s account that can be used to test games without placing real money. Such option is good for new players who have a small experience in gambling or do it for the first time in their lives. To get welcome bonus they only need to register at one of the casinos from the list above and all. Exclusive promotions, daily rewards, free spins, cash backs, and other bonuses will be pleasant advantages for active gamblers. They should only play their favorite games as they like and be ready to pick up additional gift. Amaya casino has numerous licenses, operates in 17 jurisdictions, propose great variety of games for PC and mobile users. All these advantages make Amaya provider popular among online casino owners and its clients. Everyone who aspires to gamble on the high level is welcomed to play the best games there!